These are some photos I have found for my friend, as she is thinking of going pink, I personally condone this idea and think a pale shade would look s e x x x y. I confess I was watching Lady Marmalade and thought P!nk's hair was good inspiration, how good was Xtina's though it reminded me of the post I did on Jeremy Scott. You've got to love a chick who isn't afraid to swear on her Blog! 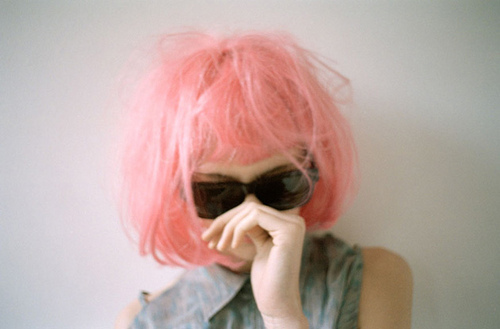 Nice Blog, love the pink hair!